So, I actually started these pants during KCW in January and finished them shortly after - I just haven't gotten around to getting photos and posting about them until now. I used a grey cotton twill fabric that I got as a remnant at a local fabric store. The pants were made from a self-drafted pattern which was a combination of the Simplicity 5125 pants I made in September, with pockets and a back yoke borrowed from Peek-a-boo pattern shop's Skinny Jeans (affiliate link) - which I made for the big kid during the last Kids Clothes Week. The back yoke is a triangular piece of fabric that is sewn to the top of each of the back pieces of the pants. This helps to give the pants a higher rise in the back than in the front, as you can see here. 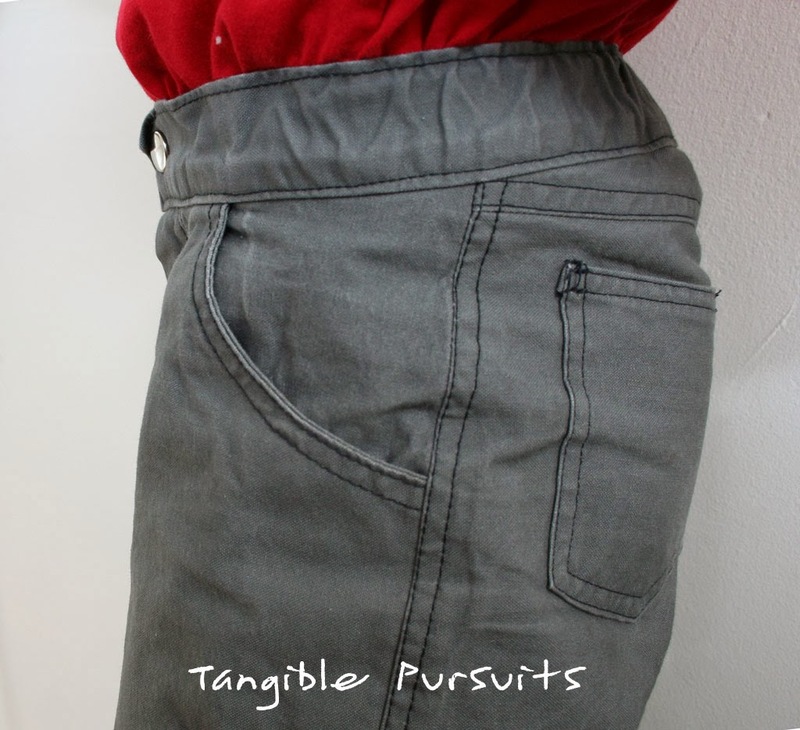 The pants have a functional fly in the front and an adjustable waist with the use of buttonhole elastic in the back. I did two lines of topstitching on all the seams with a black topstitching thread. 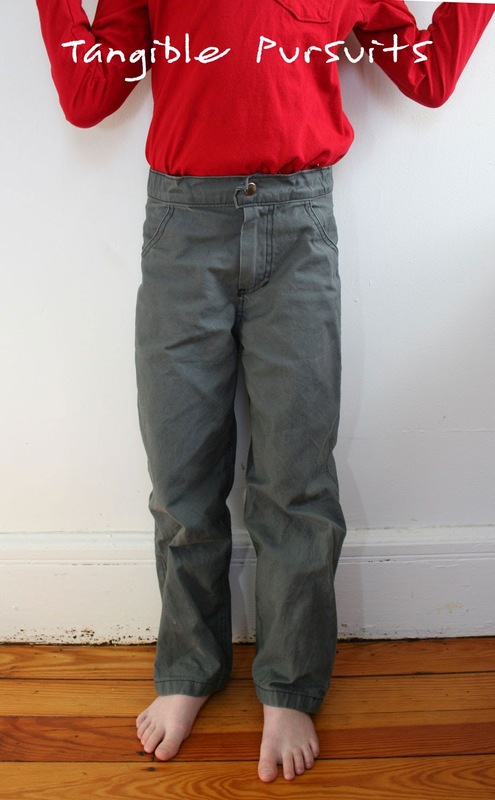 The pants have already gotten a bit of wear as you can probably tell from the pictures and I am hoping they will last for a long time so the little guy can wear them when he is 7!